Here is my favorite Guinness brewed hot dog in a toasted potato roll with melted swiss cheese. Add some Bavarian kraut, then top it off or dip it in a thousand island dressing. If you want something above the rest then this is the dog for you! Boil the the brats with the beer and garlic until cooked. Reserve the liquid on low. Place the brats on a heated grill until browned and grill marks form. Place back into the beer to keep warm. 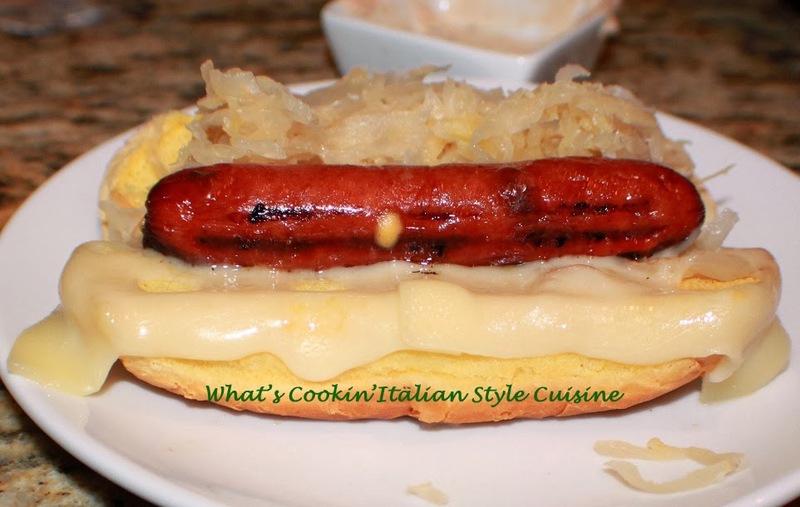 Garnish with toasted potato hotdog rolls, swiss cheese slices, Bavarian Sauerkraut and top with thousand Island dressing or use as a dip on the side.